Once you have a Template loaded you may wish to change some data, say an image or a word, without the inconvenience of having to re-configure. 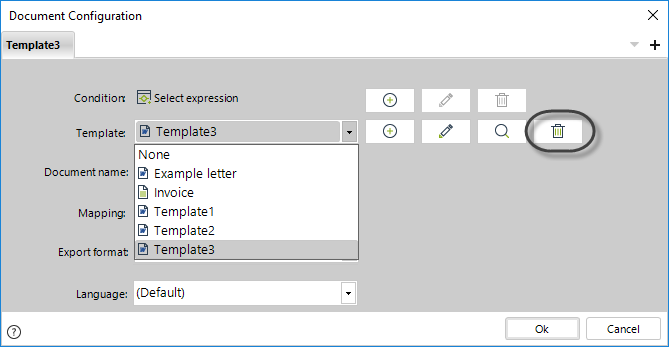 Bizagi allows you to amend a Template and retain the rest of the configuration. Click on the Update button to select the new Template. 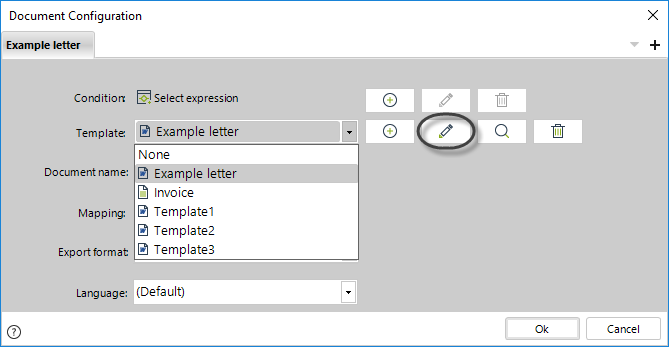 Select the file and, if required, change the template name. If you click the Save a local copy link you will be able to save the original version (prior to modification) of the template updated, in your computer. When finished click Next and then click Finish. When updating a template the mapping will be not lost if the template is similar to the original one. We recommend that once updated, check the mapping. 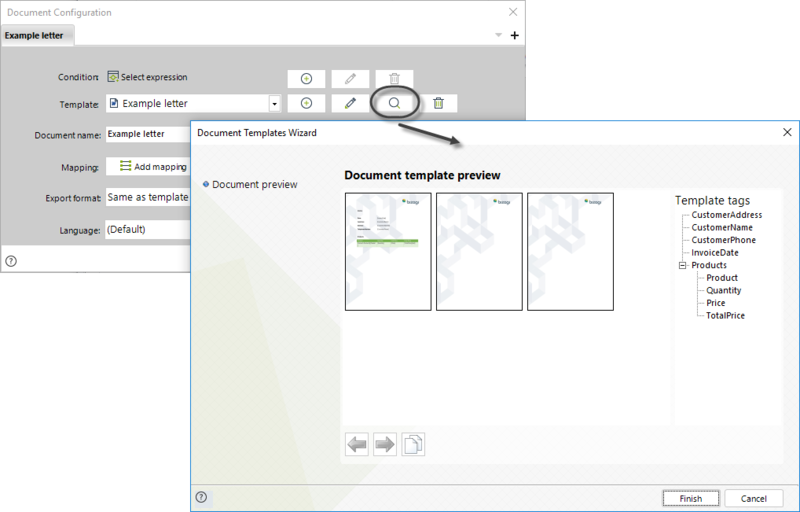 To see the preview of a template click on the Preview button. This option allows you to visually identify the template. 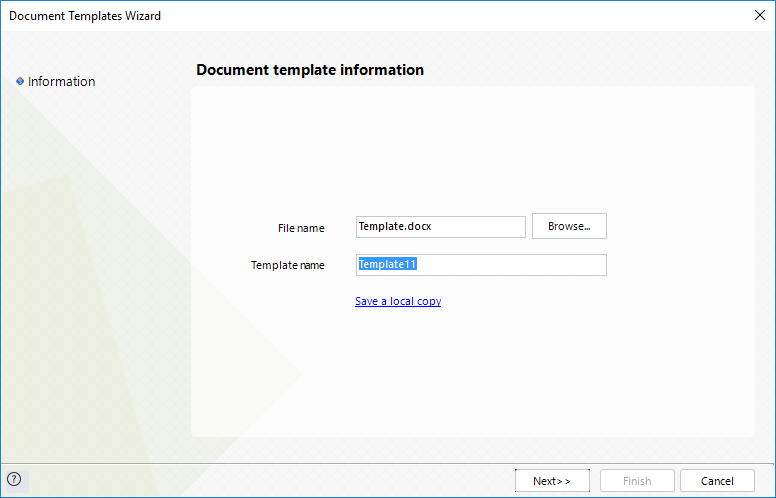 To delete a template select the desired template from the list of uploaded templates and click the Delete button.